Manila - Winners of the 2013 Metro Manila Film Festival (MMFF) were named on Friday in the awards night held at Meralco Theater. 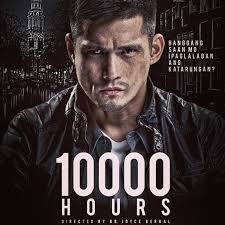 Robin Padilla's fictional film '10,000 Hours' is this year's most awarded movie after bagging fourteen (14) recognitions. Though '10,000 Hours' is not successful on box office earnings on opening day, it is the runaway winner for 2013 MMFF after bagging major awards including Best Original Story, Best Cinematography, Best Screenplay, Best Director, Best Picture and Best Actor. Robin Padilla as expected won the top acting award, best actor for playing the role of Gabriel Molino Alcaraz, a gutsy police officer in the Ping Lacson bio-inspired movie. It is also noted that the film is an action-packed movie with Bb. Joyce Bernal as the director. Bernal still managed to uplift the quality of the movie and was named best director. 10,000 Hours is produced by Philippine Film Studios which stars Alden Richards, Joem Bascon, Mylene Dizon, Pen Medina, Michael de Mesa, Bobby Andrews, Bela Padilla, Joross Gamboa, and with special participation of Sen. Lito Lapid, Ramon Christopher Gutierrez, Raymart Santiago, Efren Reyes and Phillip Salvador. View the Complete List of Winners for the 39th MMFF here.